Great for dogs who otherwise, would be left alone for long periods of time. Puppies who might get into trouble, do well with this service, since they learn how to interact with other dogs and get plenty of exercise throughout the day, leading to a good night sleep. For those times when you must be away and your canine pal cannot join you. 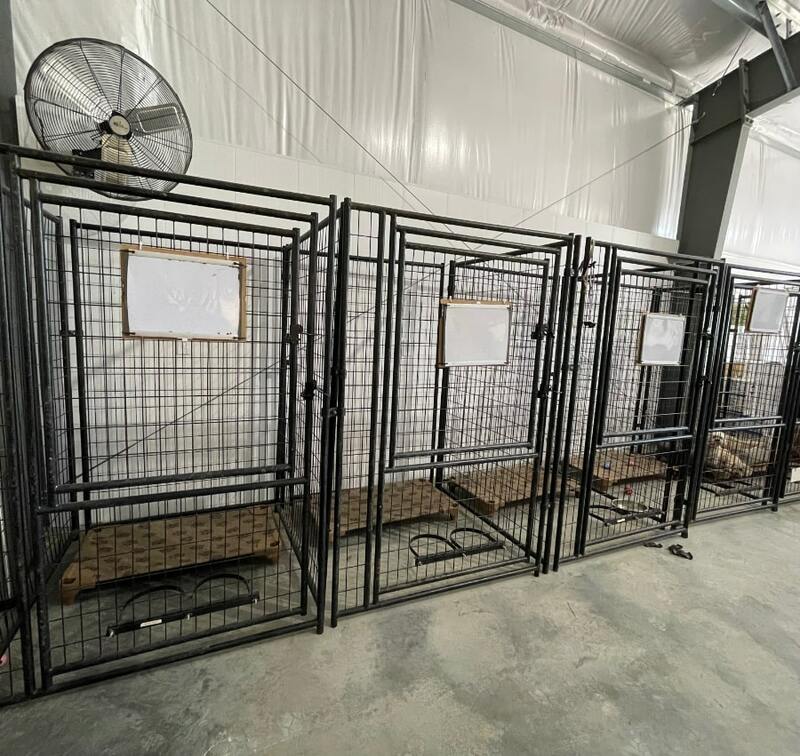 Our bedtime kennels are 4' x 7' in size. They include a petcot for your dogs comfort. Two dogs from the same household, that consume the same food, can be accomodated in one kennel, if requested. Miss your best friend? We provide a way to keep in touch with your dog while your away! You simply download an app on your smartphone and then you can watch live any where in the world. Please visit our FAQ page to see the requirements for video calling. Living on acreage, in an area where almost every family includes, at least 1 dog, my family and I decided that Greater Sudbury needed a 'free-range' option for kenneling. We know there are many 'kennels' not licensed or insured but, that would be taking chances with one of the family ....something we would never do. So, we took a look at the licensed dog kennels in the area, to see what we liked and what we could do without. 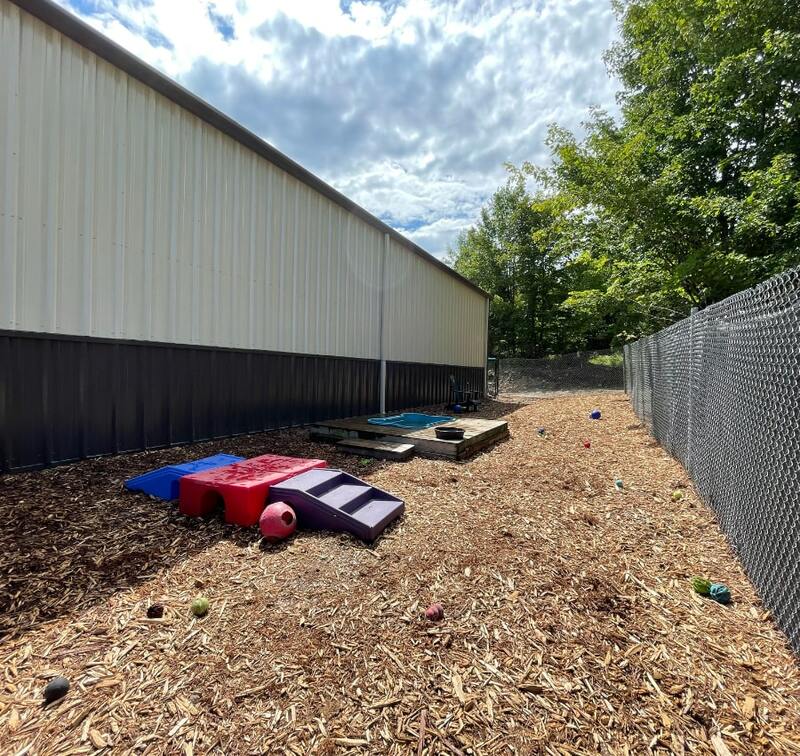 Many kennels were in disrepair, needing extensive upgrading and renovations. Some kennels had very small cages, I could only call 'jail-cells'...somewhere that food and water is provided, but not much else. Many of them could hardly hold one dog but often had two housed within. Poor dogs!! I would never do that to my dog or anyone elses. I could see that there was a real NEED for dogs to be kept like.......well, dogs. Most dogs thrive in a pack environment. They are very social animals, both with their human friends but more importantly with their own kind. They learn and integrate into a pack very quickly. That's why dog parks are all the rage. For those dogs, my kennel is the best!! Every kennel provides their physical needs but we also provide their emotional and social needs. My hope is that you and your dog have all your needs met, the next time you need to use a dog kennel. We are Sudbury's only free range dog kennel. Every dog is checked if they, are social, have appropriate behvaiour and are up-to-date on vaccinations. They are an extension of your family and we will always treat them as such. This is an amazing place to leave your pet and have no worries. My dog loves it here! This is the only place she doesn't even realize when I leave. This place is very clean, spacious and friendly, I would highly recommend Friends Fur-Ever for your pet. You will not find nicer, more caring people. To check on your best friend while you are away, you will need to download the SwannView Plus app on your device. You can download the app by clicking on one of the links below that will work with your device. Once the app is downloaded, visit our How to Connect section to see how to setup the app to connect to the cameras. We are located at 15 Kalio Rd., Lively, Ontario.